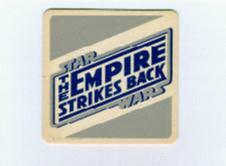 This is one of my favoriate cast and crew items from the Empire Strikes Back. The color choice is striking. Notice that the ESB logo is different than the final production one. The "The" part of the logo is where it's most noticeable.